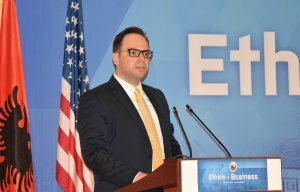 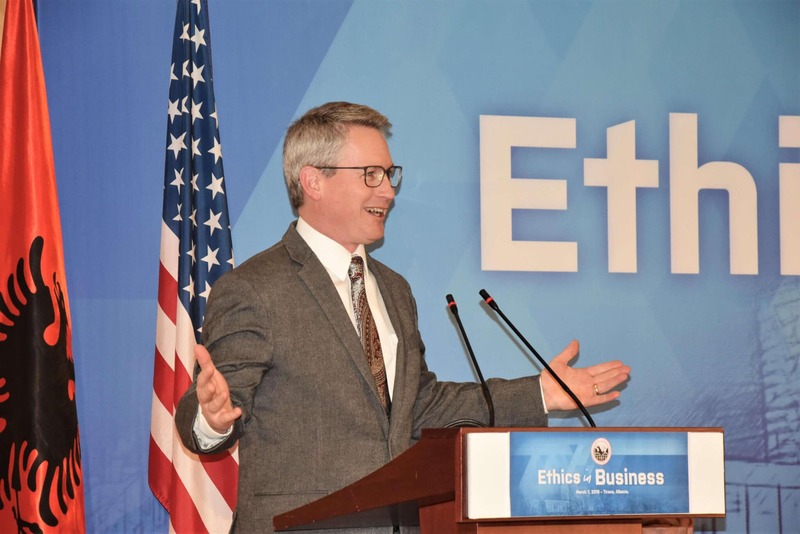 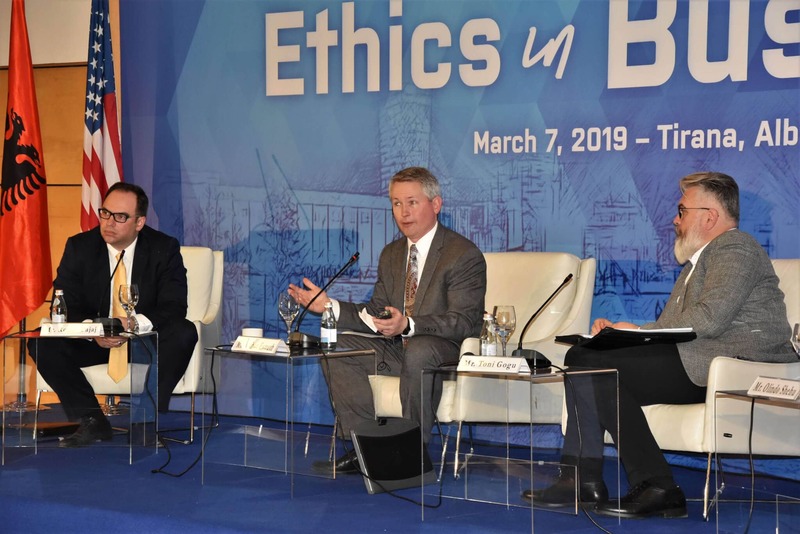 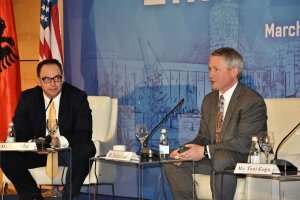 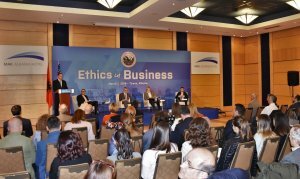 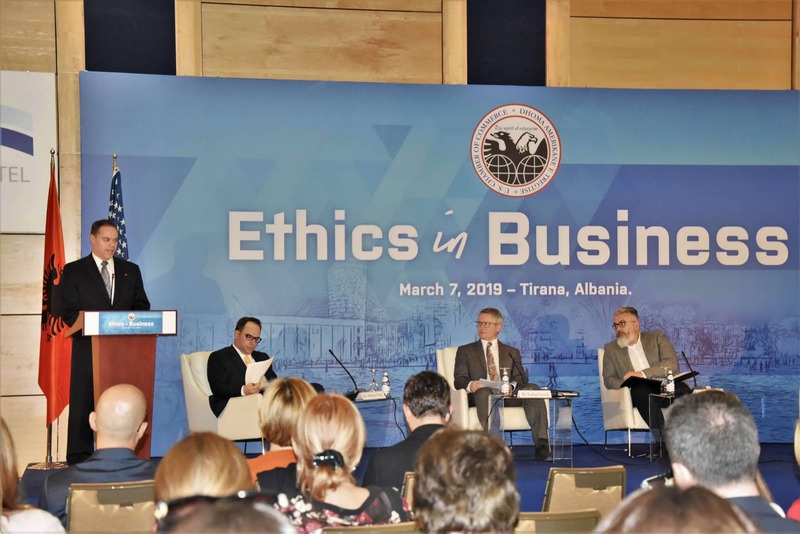 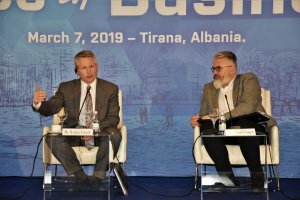 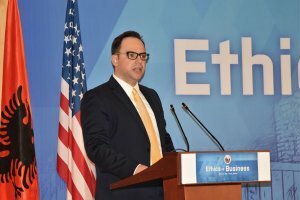 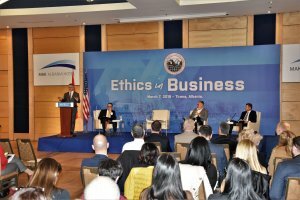 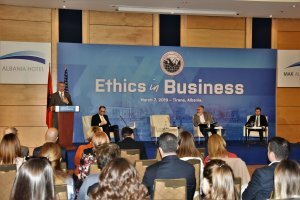 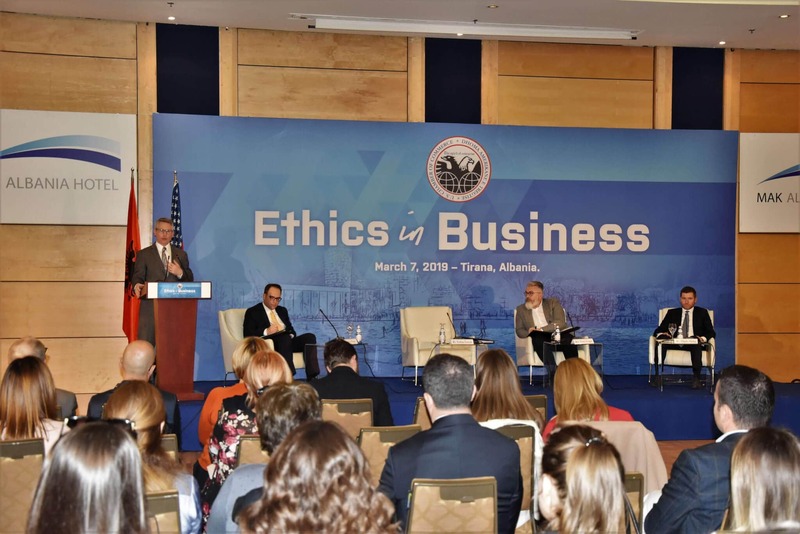 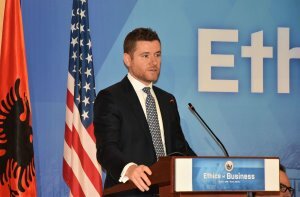 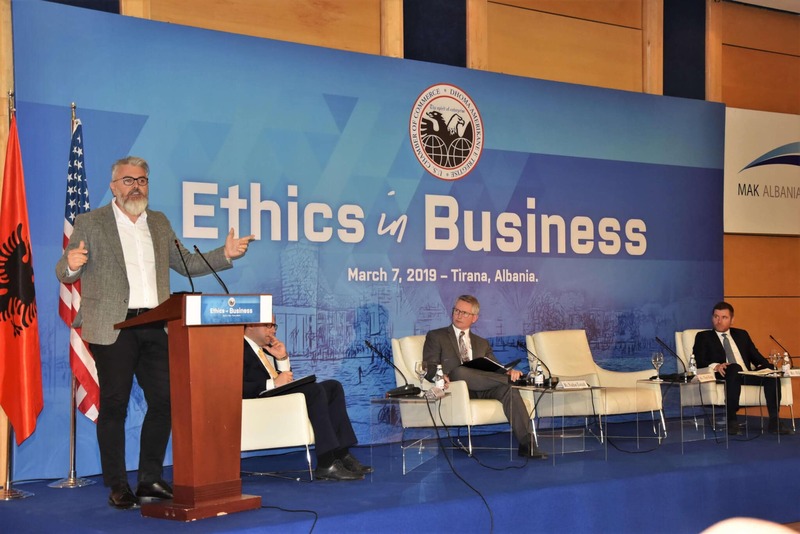 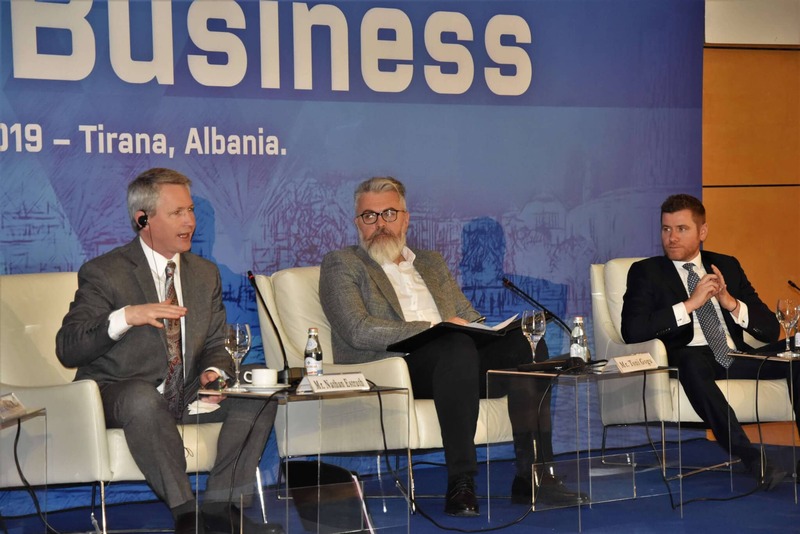 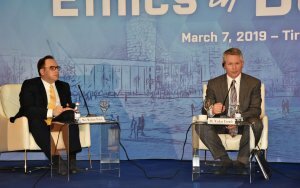 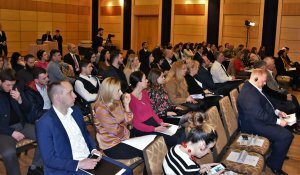 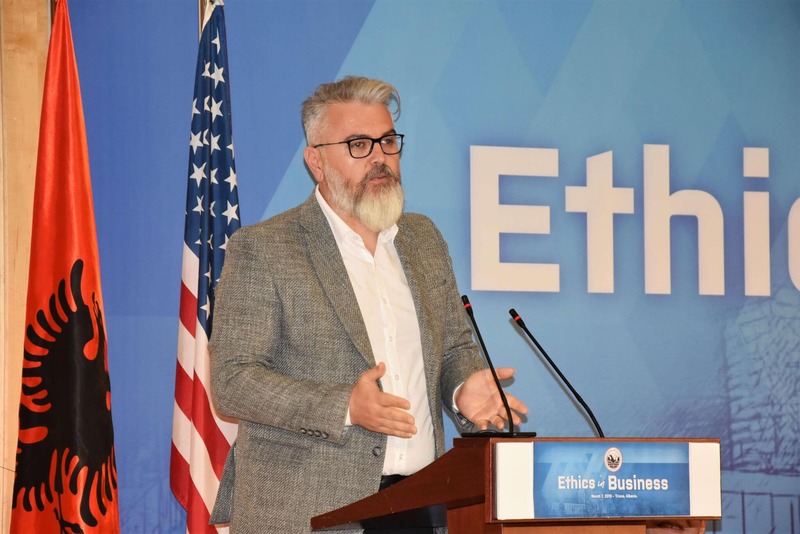 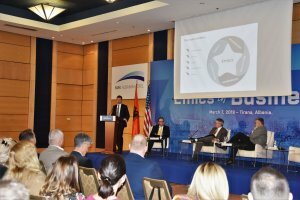 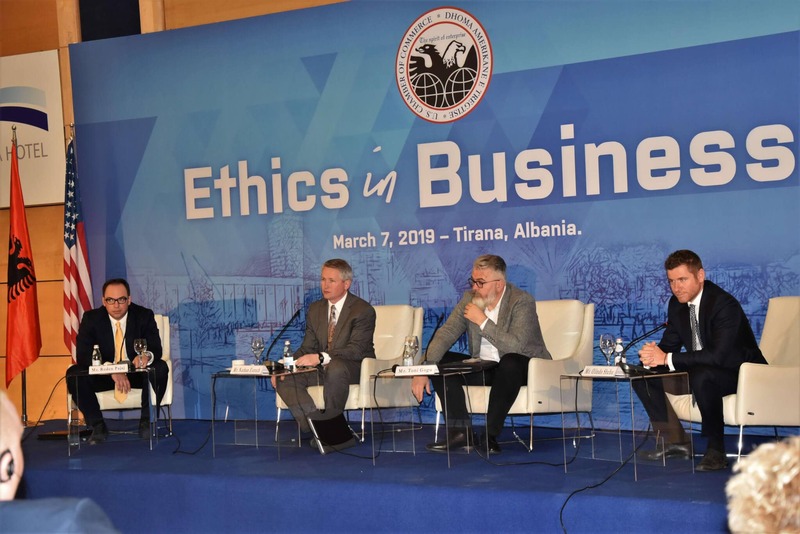 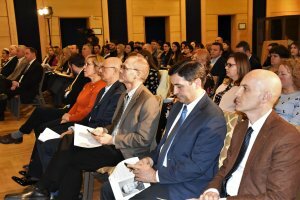 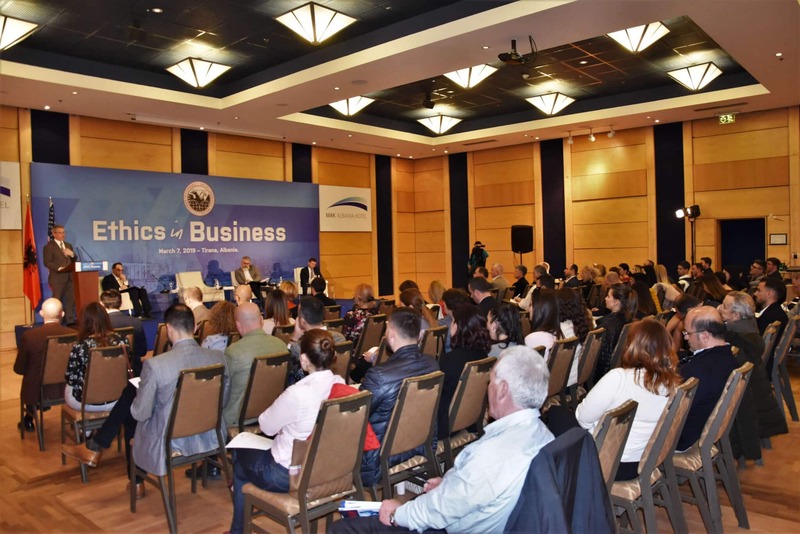 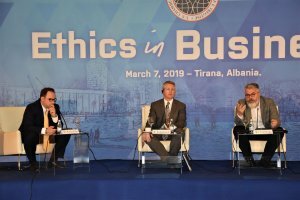 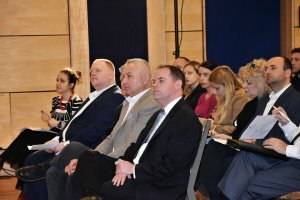 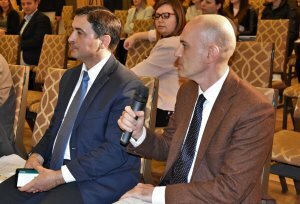 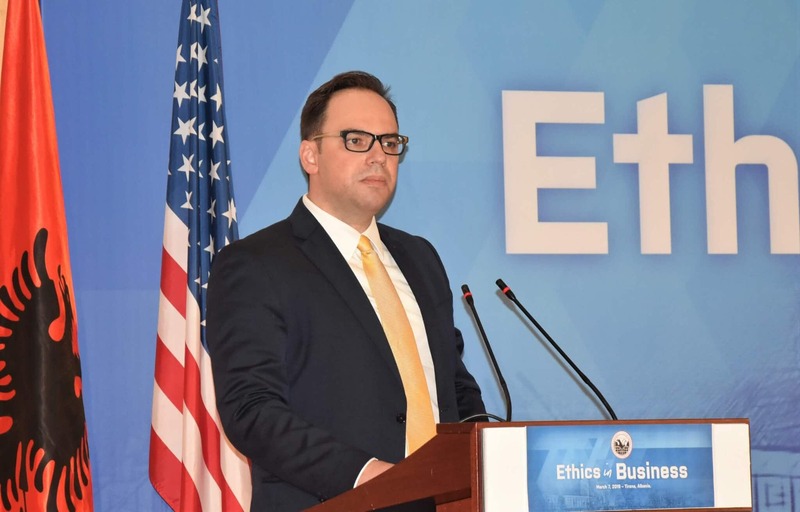 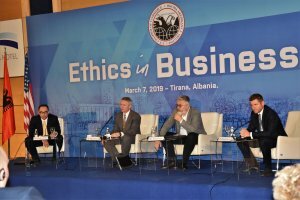 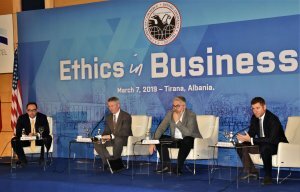 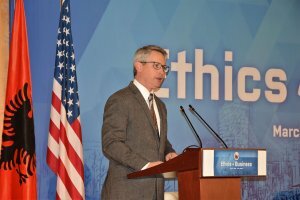 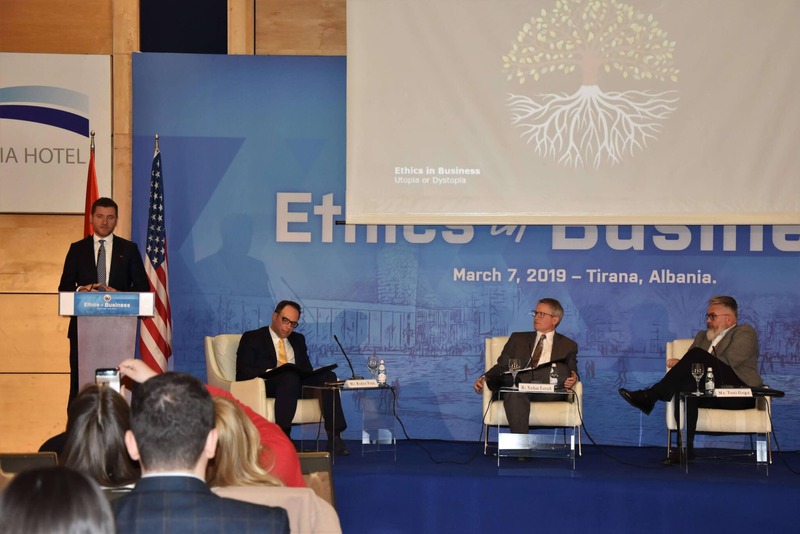 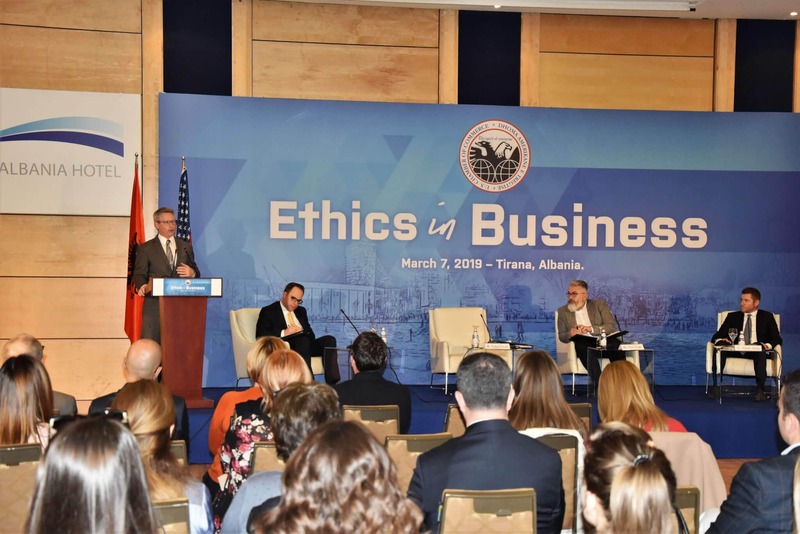 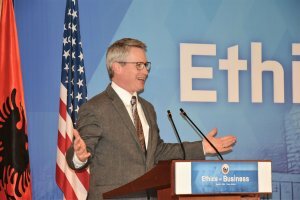 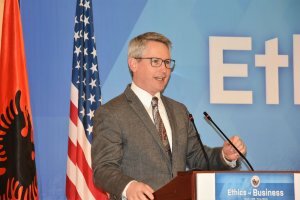 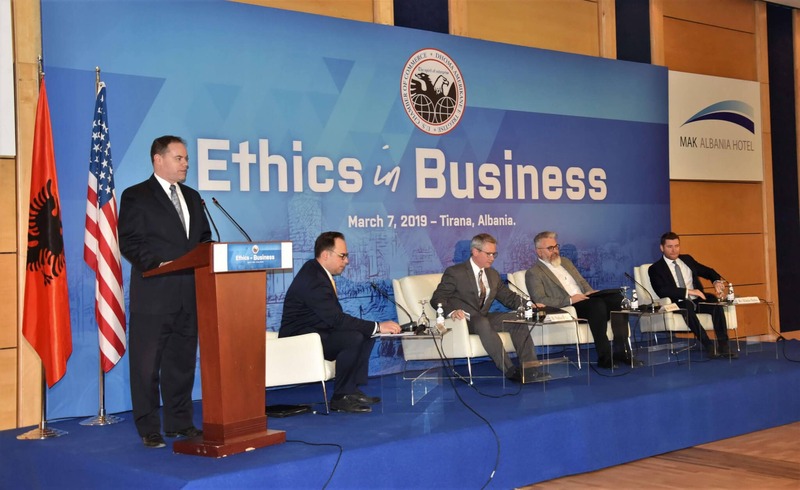 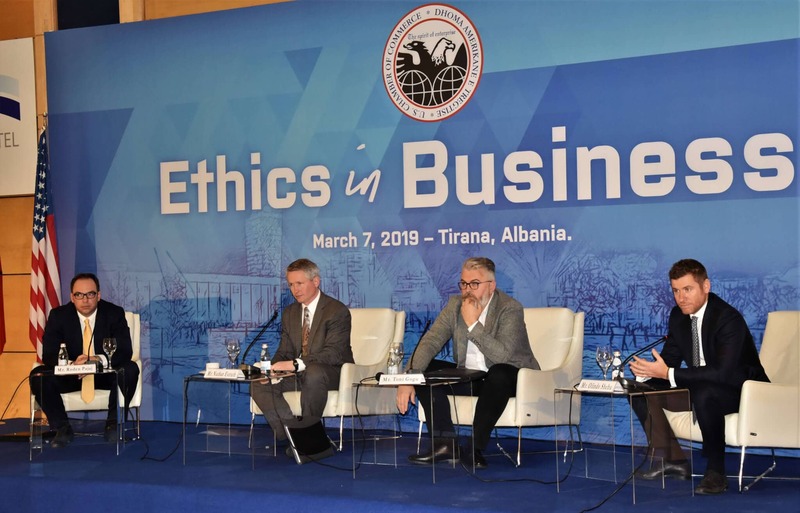 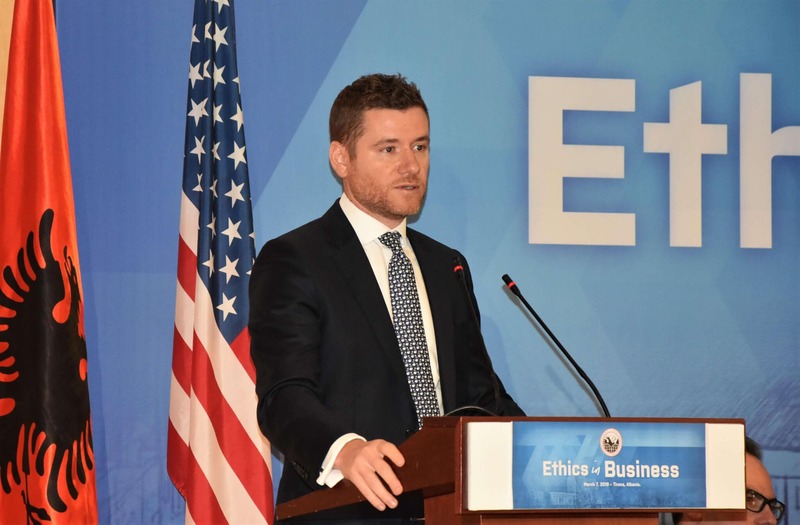 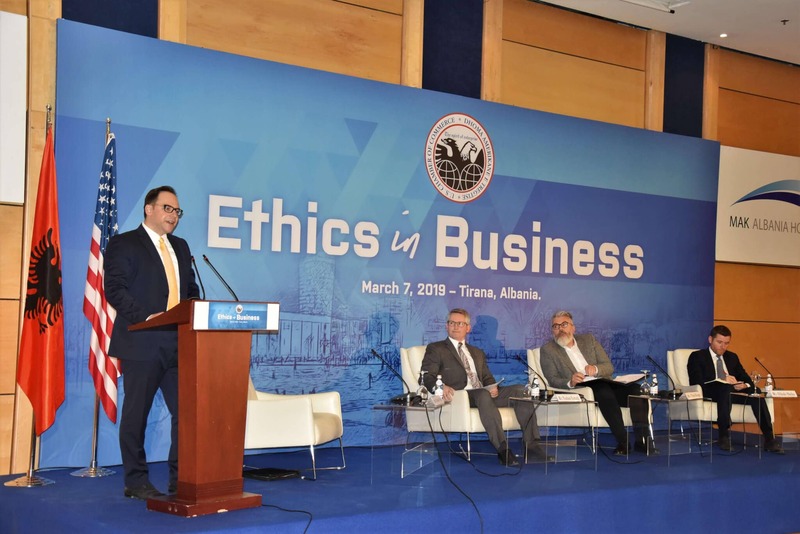 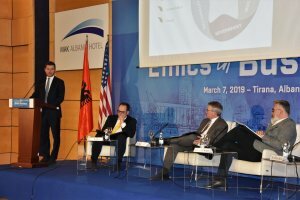 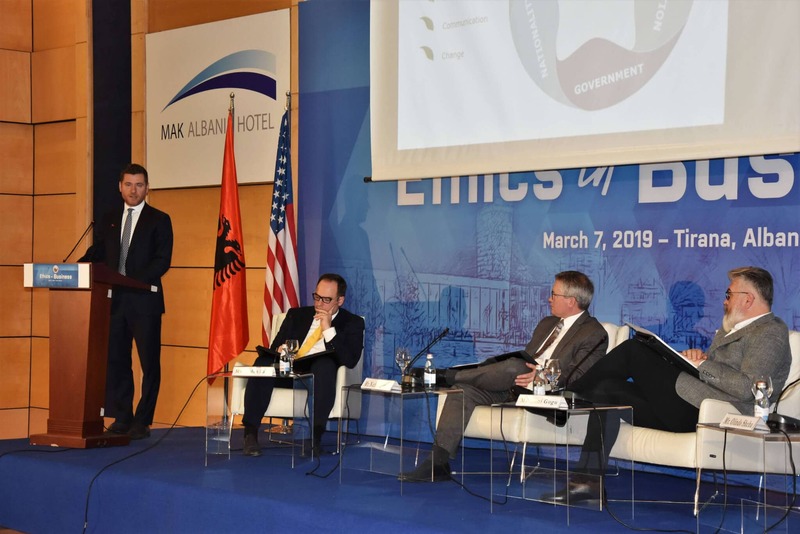 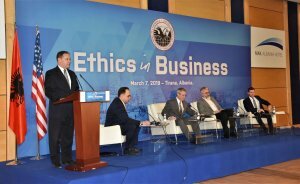 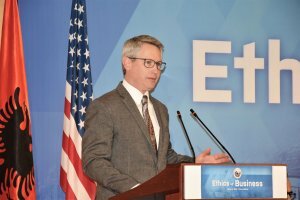 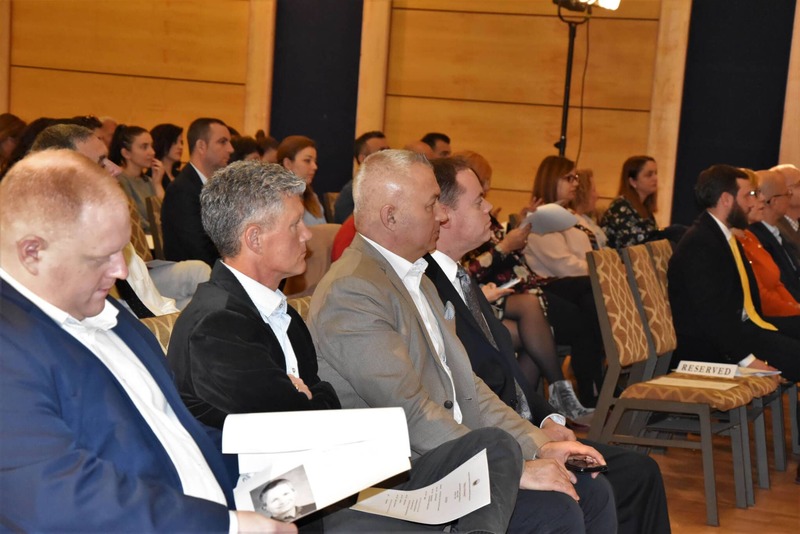 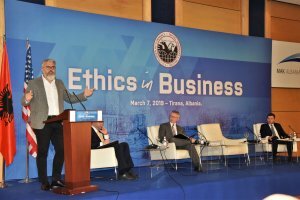 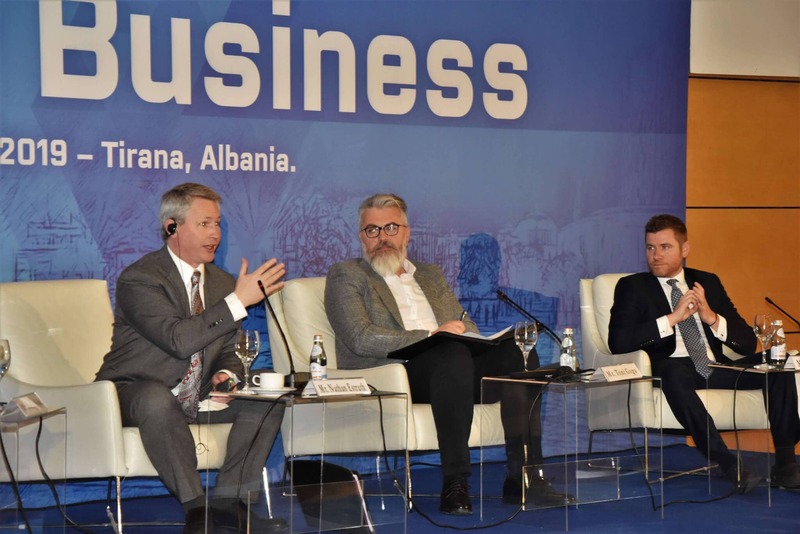 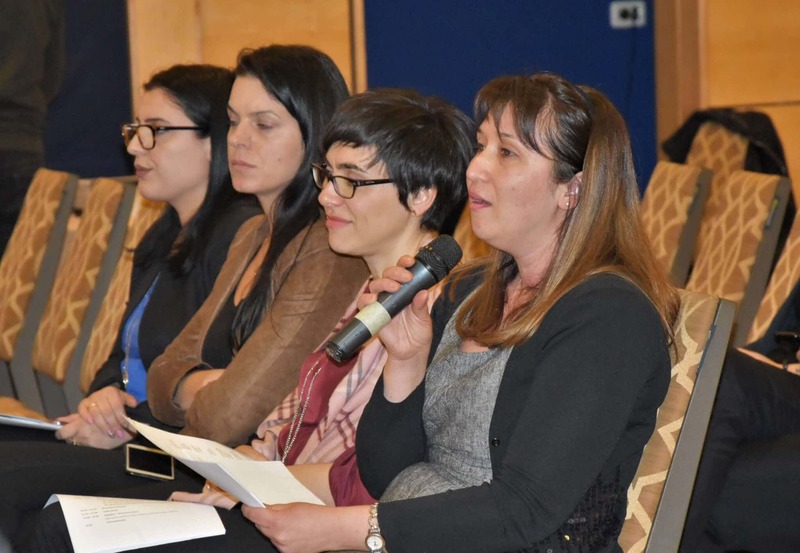 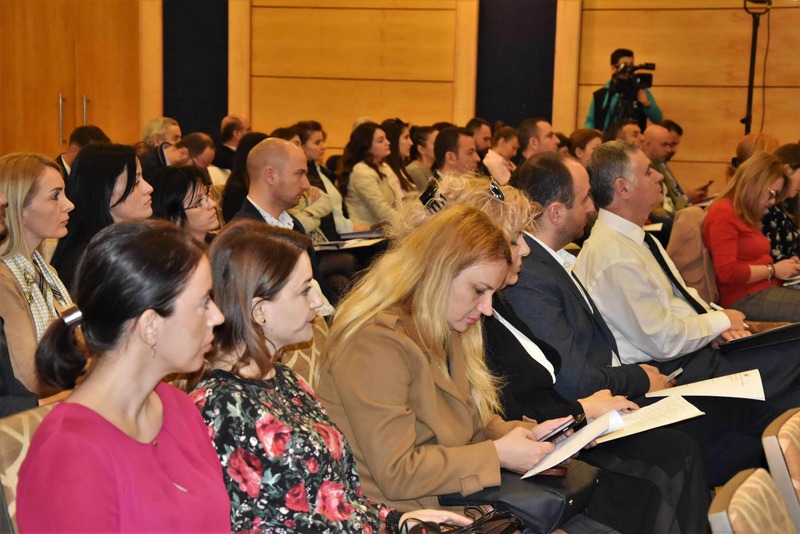 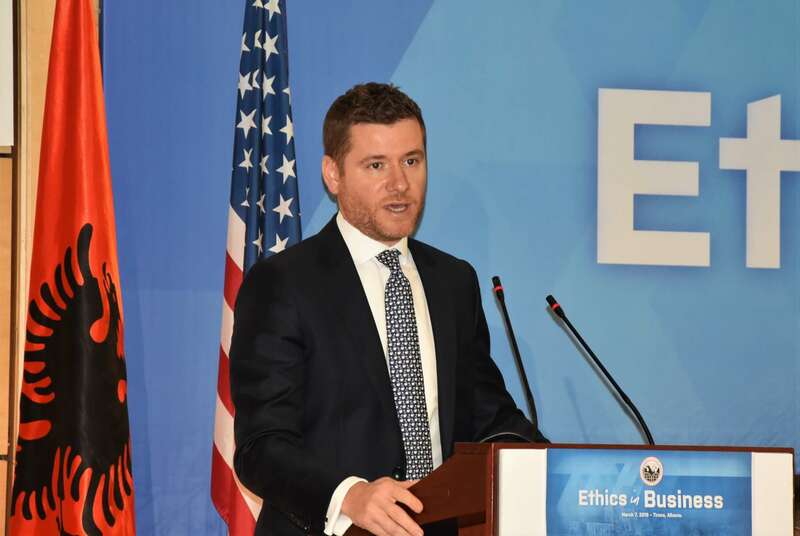 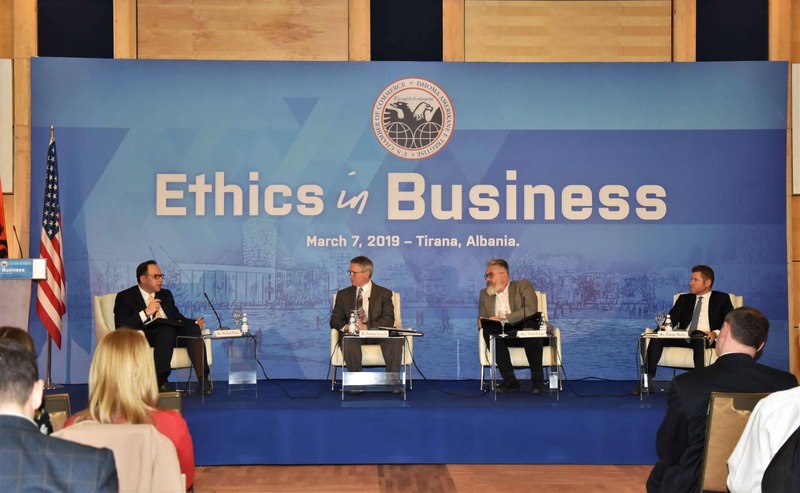 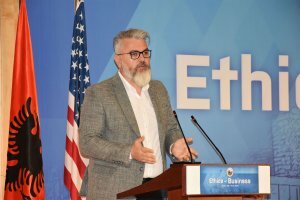 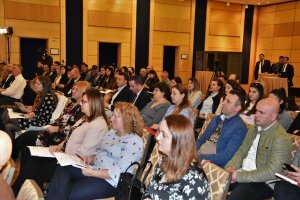 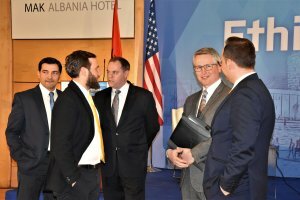 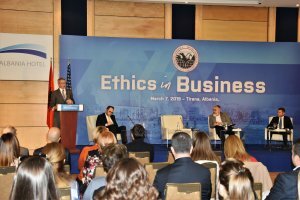 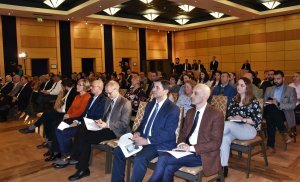 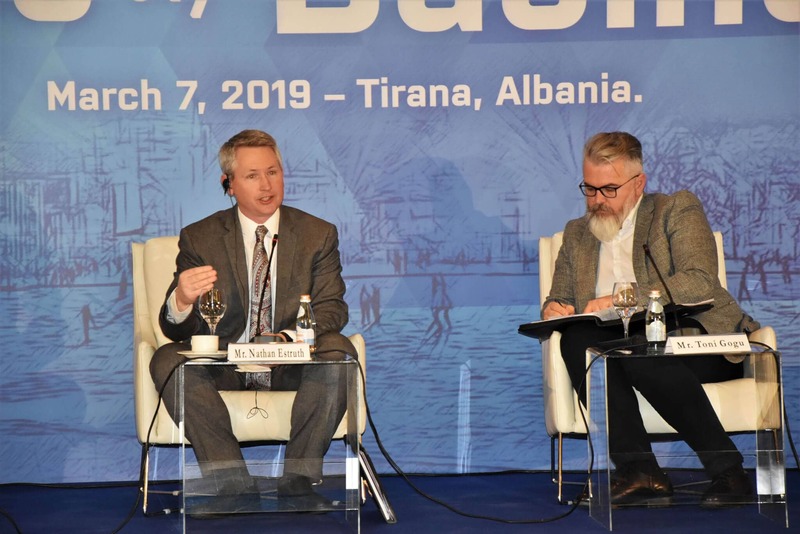 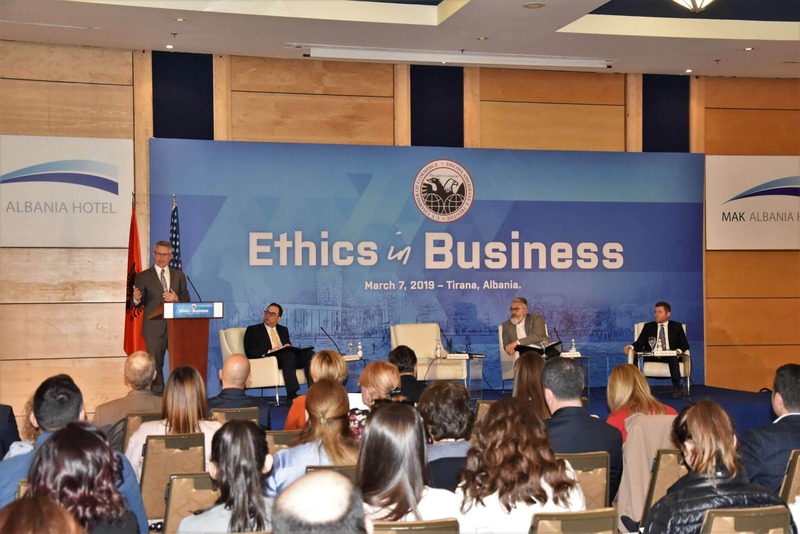 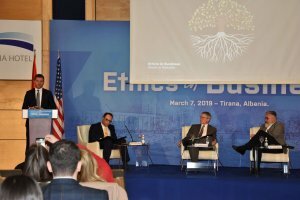 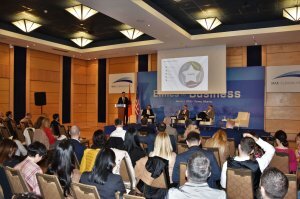 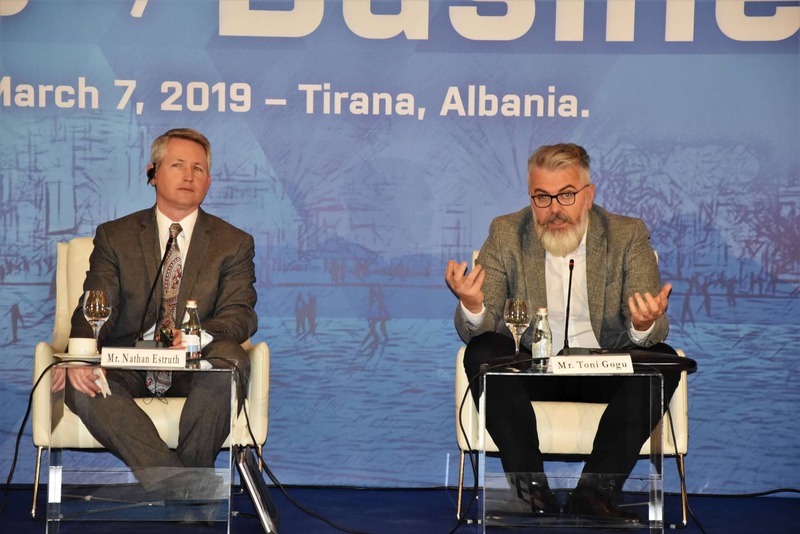 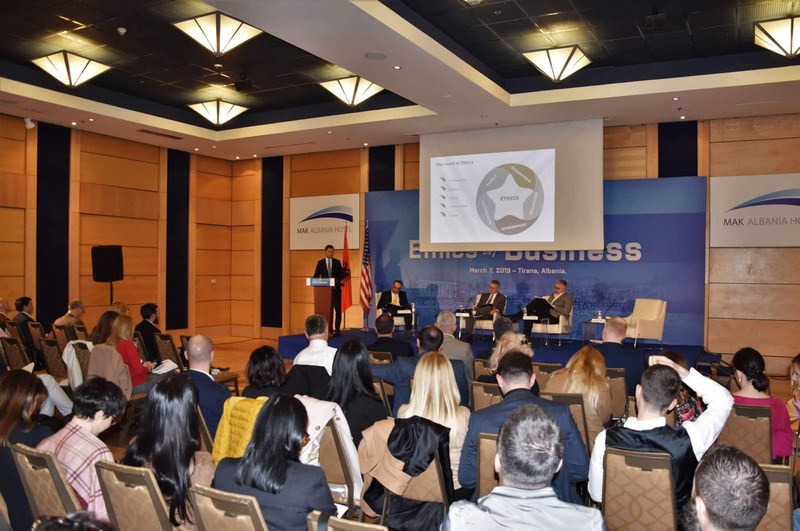 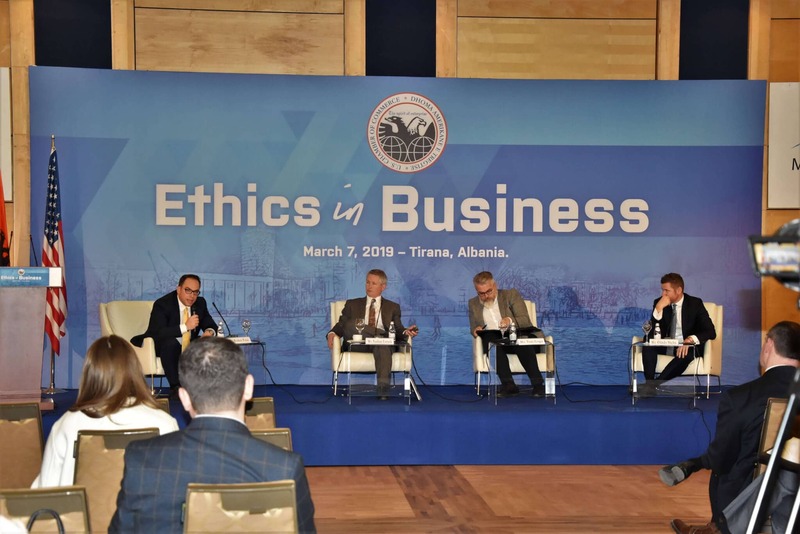 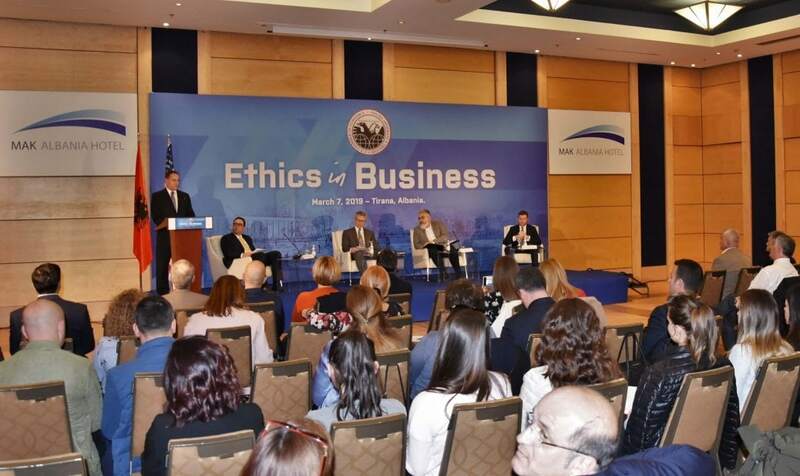 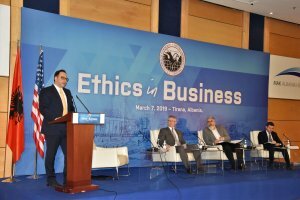 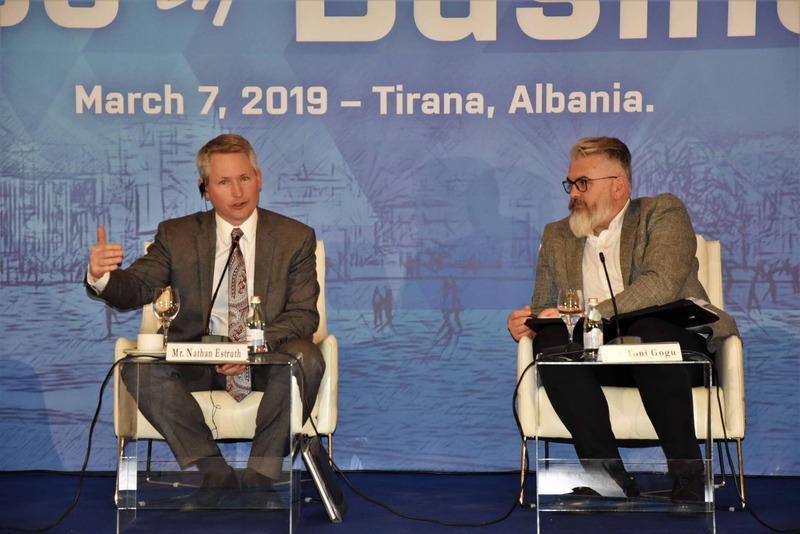 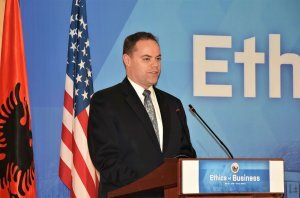 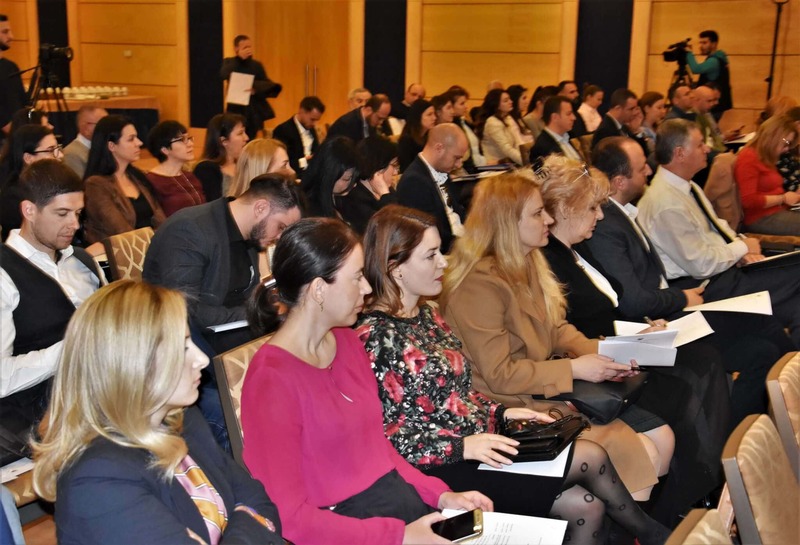 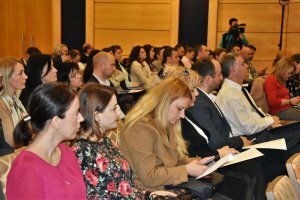 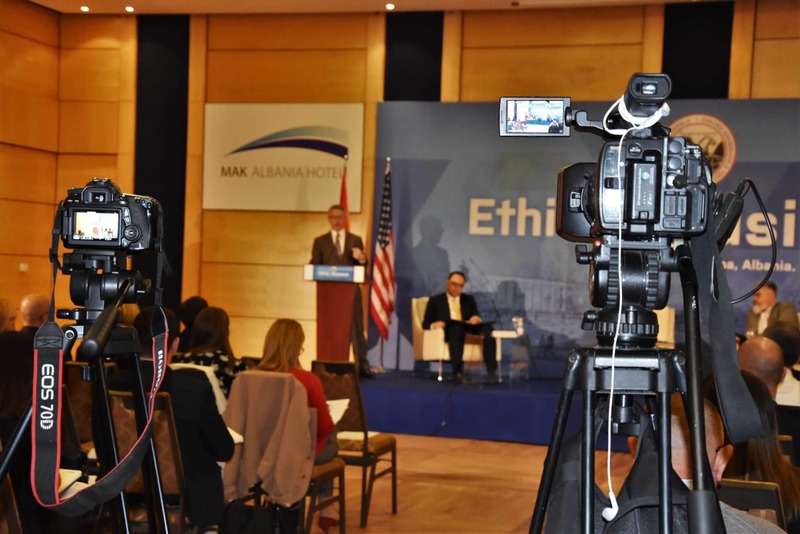 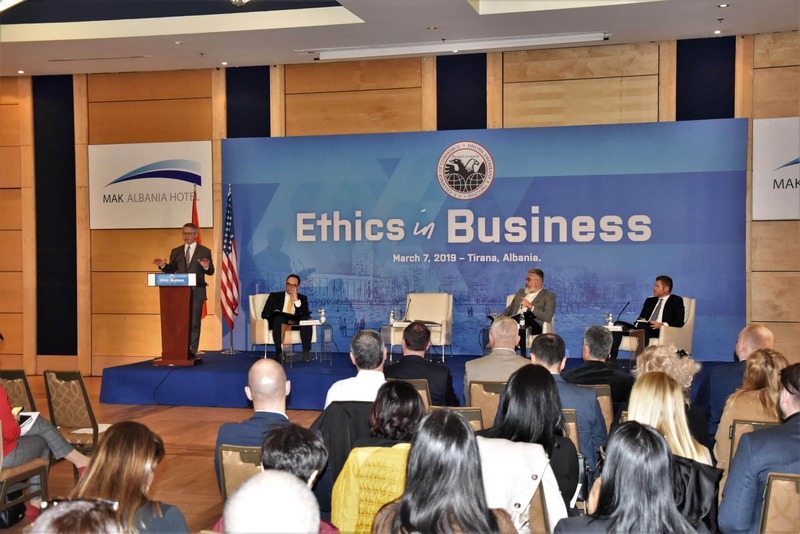 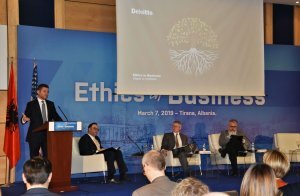 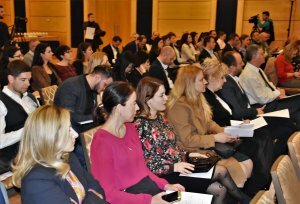 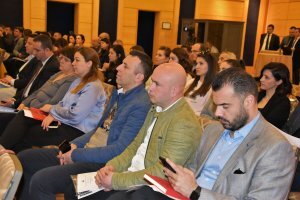 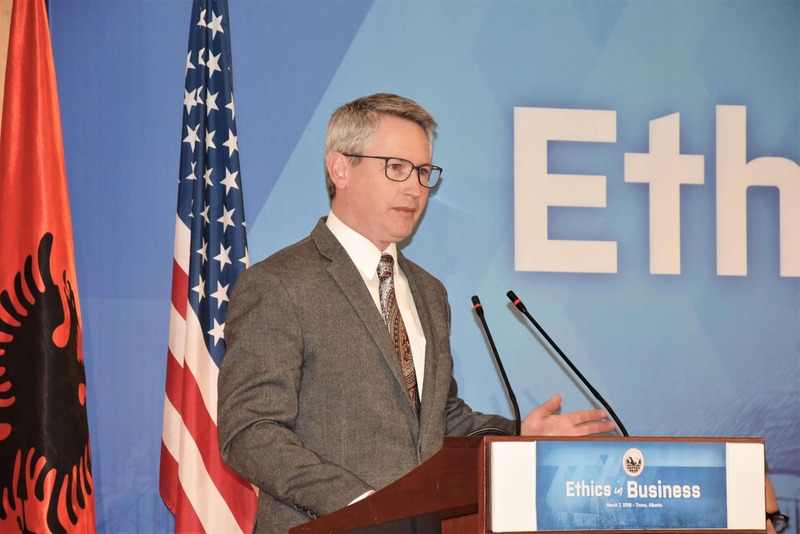 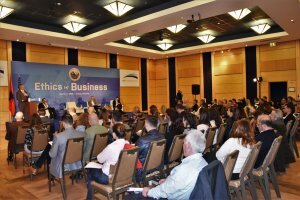 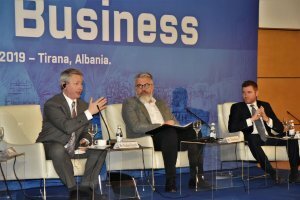 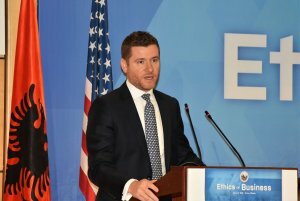 AmCham Albania organized the first Conference “Ethics in Business”, with the presence of high personalities from USA and Albania. 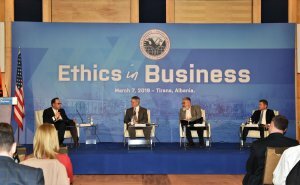 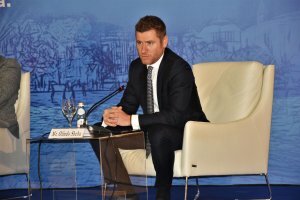 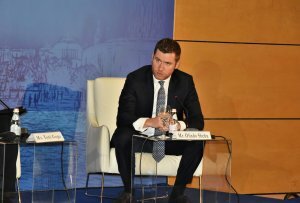 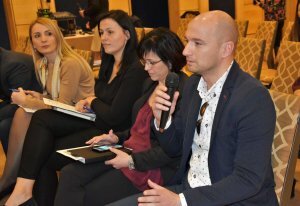 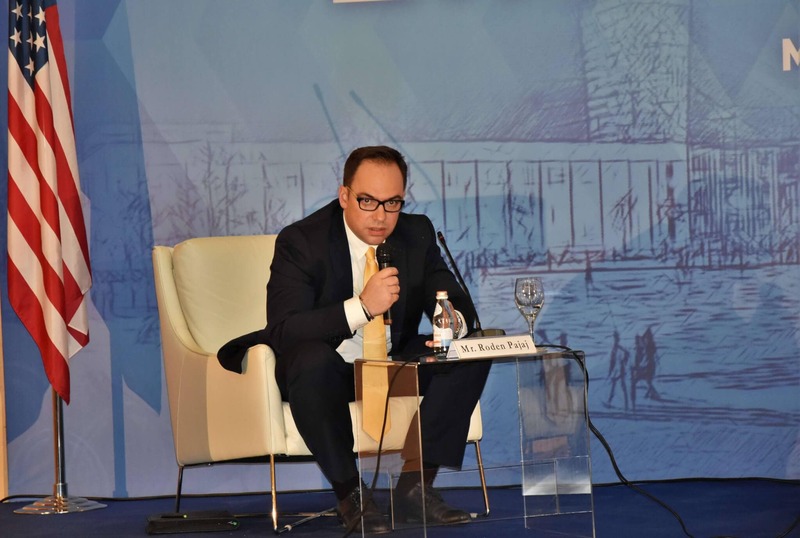 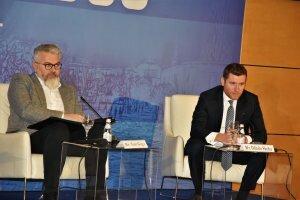 The moderator of the Conference and the Chair of the Labor & Ethics Committee, Mr. Roden Pajaj, interacted with the key speakers and the audience and involved them in discussions regarding the implementation of the Code of Ethics in their businesses, in order to improve their businesses and reshape the way of doing business. 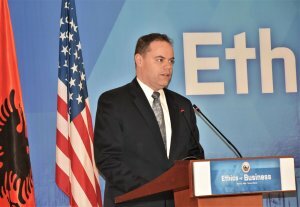 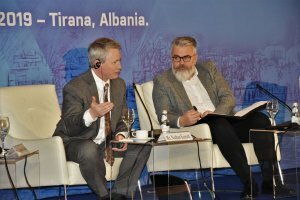 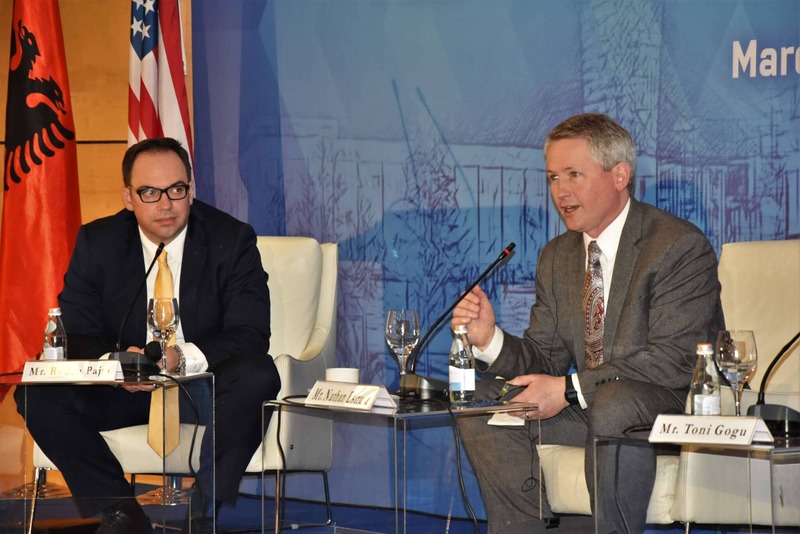 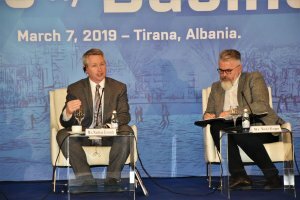 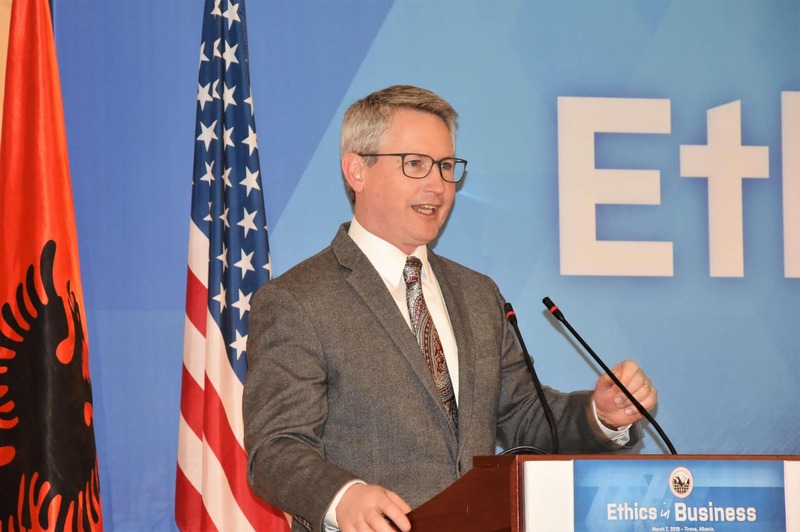 The President of AmCham, Mr. Mark Crawford, in his remarks stated that there is a different culture between America and Albania, and the conference will help to bring a good experience of US companies in Albania. 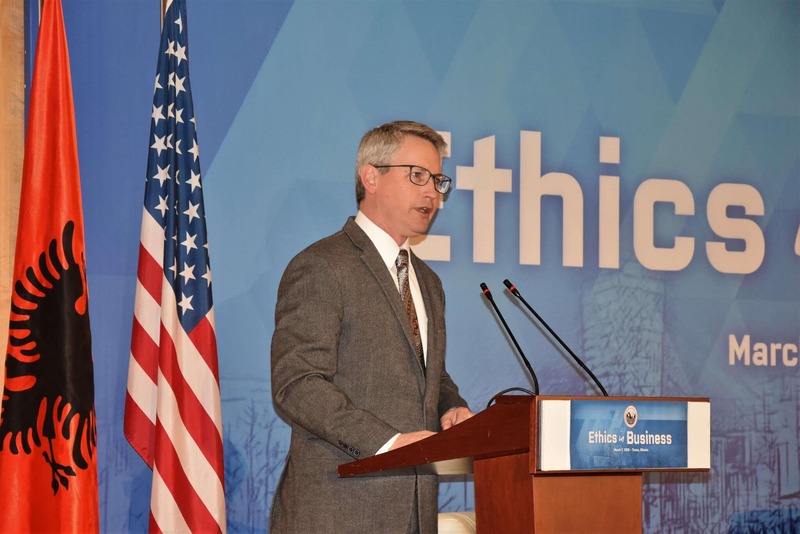 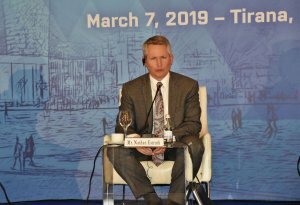 During the conference, Mr. Nathan Estruth, the Vice Chair of KPS Global USA talked about the role of ethics in business and how leaders should apply ethics in their relationships with staff, partners and clients. 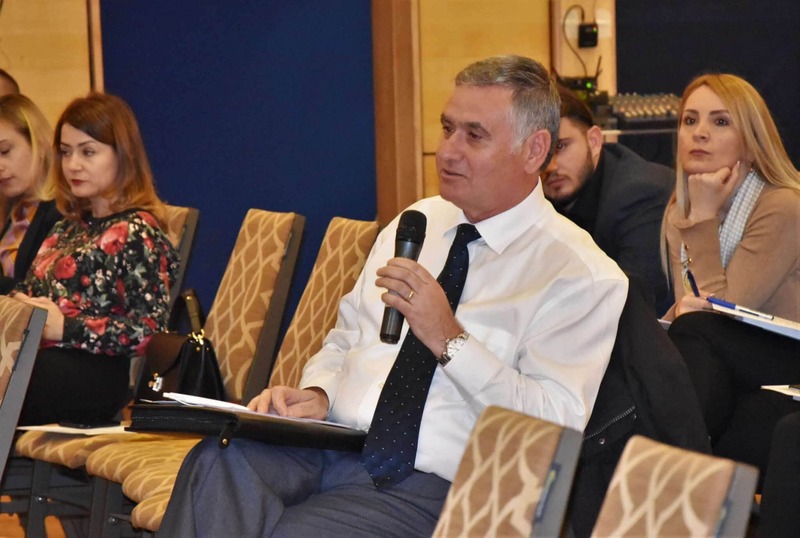 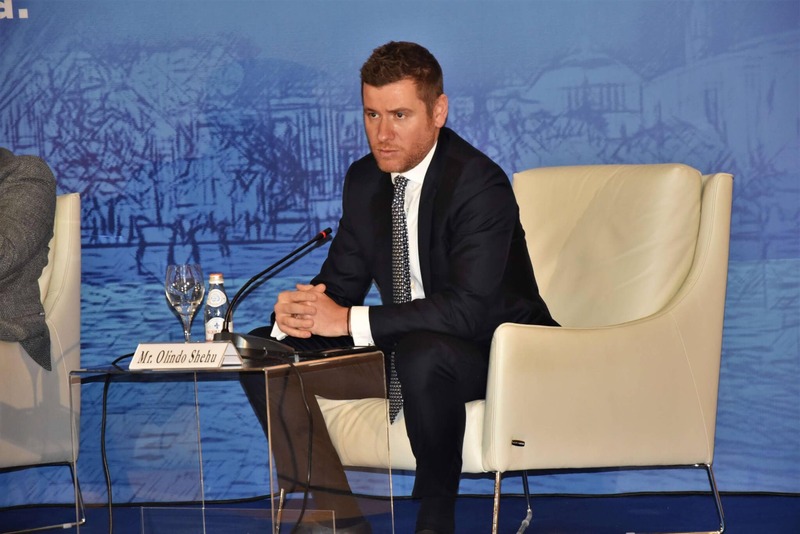 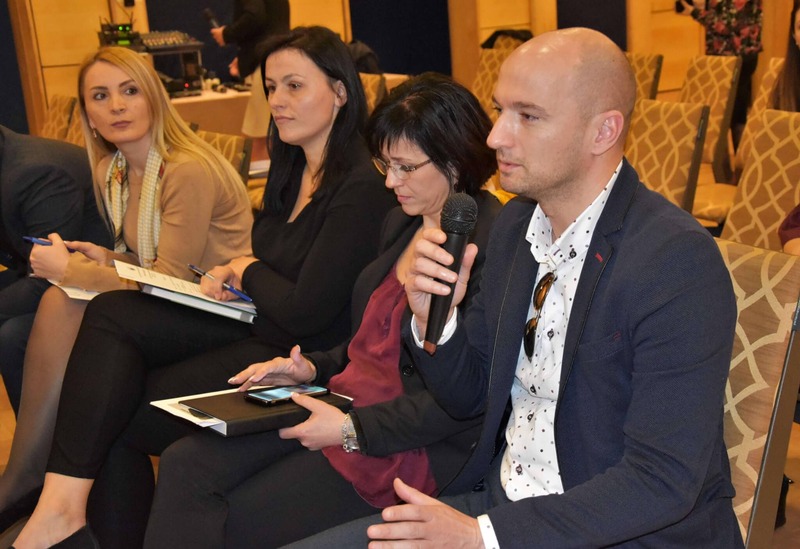 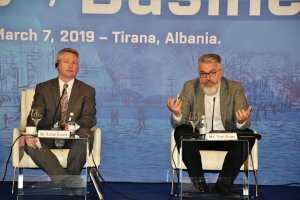 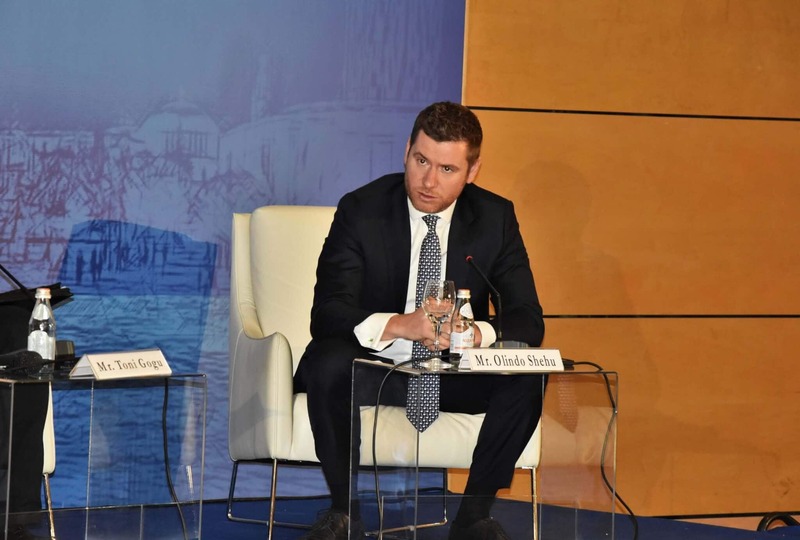 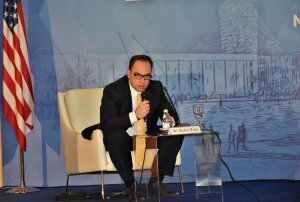 Mr. Toni Gogu, the Deputy Minister of Justice was also present in this conference and talked about the principles of doing business in Albania and how the legislation and regulatory systems affect it. Mr. Olindo Shehu, Tax & Legal Partner of Deloitte Albania & Kosovo brought a business point of view and explained the way Deloitte applies the Code of Ethics in business in relation with all stakeholders and talked about his experience through Deloitte around the world.